The 34th annual International Fuel Ethanol Workshop & Expo was a great conference for NCERC and featured great visibility for the Center team. NCERC Director, John Caupert, presented at Ethanol 101 on the opportunity for corn in the bioeconomy. He also moderated two panels as well as Specialist of Commercialization, Jackie Pohlman, who moderated a panel in the Advanced Biofuels Conference. Dr. Kevin Tucker, NCERC Faculty Fellow, presented on employee job skills through digital badging and continued education. Dr. Yan Zhang, Director of Research presented twice at the Production & Operations panel on identification and quantification of nutritional compounds and representative sampling. NCERC also enjoyed a variety of industry events and catching up with former clients, former employees, and friends. 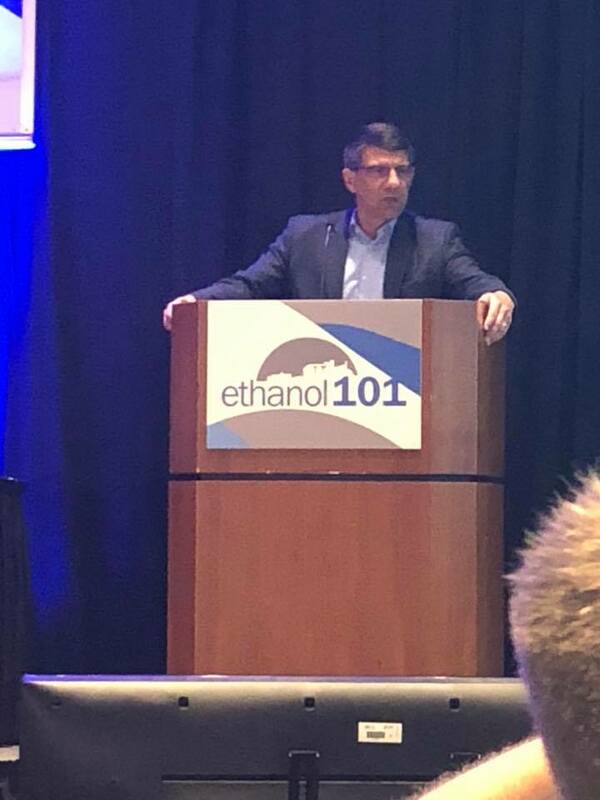 NCERC Director John Caupert presents at Ethanol 101 on Monday, June 11th on the opportunity for corn in the bioeconomy. John was featured in the afternoon programming which also included industry experts, Geoff Cooper of the Renewable Fuels Association, Mark Palmer of National Corn Growers Association, Kristi Moore of KM Consulting, and Nathaniel Doddridge of Casey's General Stores. 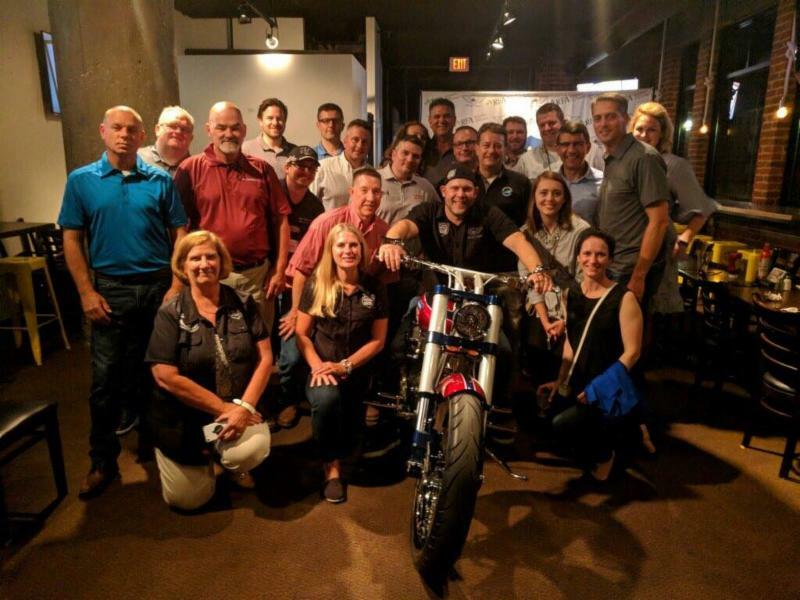 NCERC enjoyed a variety of industry events including the one pictured here featuring the new American Ethanol bike, which was built by Paul Tuetels Jr. of American Chopper (pictured on bike). The watch party was hosted by the Renewable Fuels Association. NCERC provided analytical data related to composite sampling and internal standard for in situ fermentation at a Renewable Fuel Production Facility to government and industry, and continues to work on the analytical method development on quantification of cellulose in before and after conversion samples from corn to ethanol production. "This isn't goodbye, but rather see you later!" 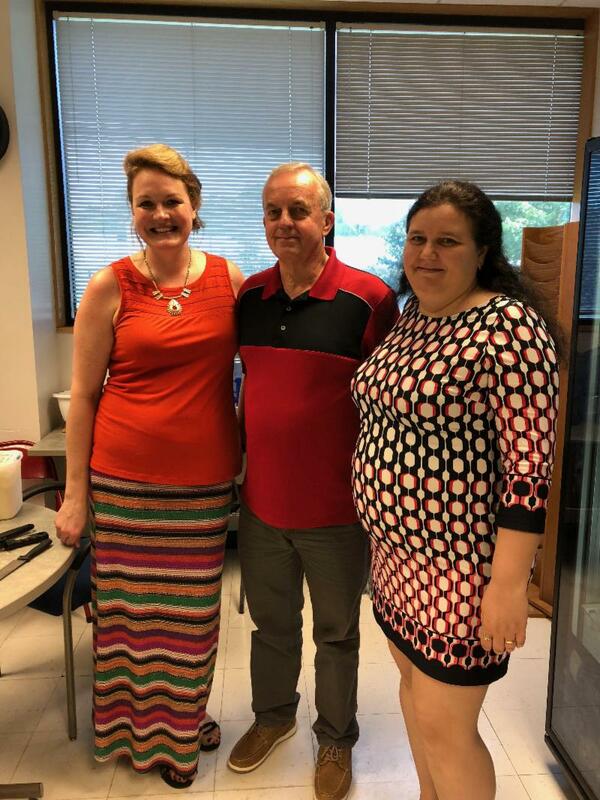 Friday, June 29th was the final day for key staff members of the Building Illinois Bioeconomy Consortium: Diana Nastasia who assisted in the project management of the grant, and Ron Simpson, case manager. Both BIB team members were stationed at the NCERC and helped in completing all final report requirements once the grant ended in March 2018. Pictured here is BIB Consortium Project Manager and NCERC Assistant Director of Communications, Courtney Breckenridge with Simpson and Nastasia. 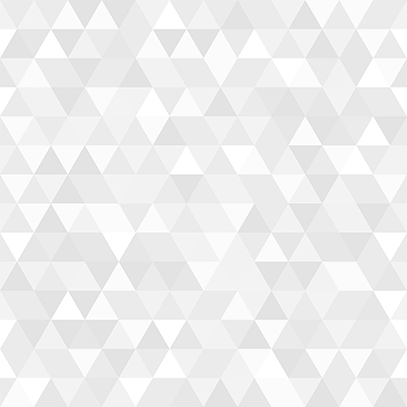 This project focuses on converting the nutrients and energy carried in various types of biomass feedstocks into food and fuel products, unlocking each feedstock’s full potential throughout its lifecycle, from planting to industrial production to waste. This project has the potential for significant impact on food and agriculture systems. Specifically, benefits to these systems include: 1. Enhanced food, feed, and fiber production systems to meet human and animal nutrition needs while providing critical bioenergy sources for fuel and products; 2. Evidence-based nutrient use reduction strategies that maintain production volume; 3. Investment in rural communities, creating jobs and new economic growth; 4. Increased public understanding and adoption of food and agricultural systems; 5. A job-ready workforce to meet the needs of food and agricultural industries. BIOWIRe will be structured as a two-semester Special Topics Science Communication course, and is proposed to serve 15-18 students each year, per Mass Comm’s AEJMC accreditation requirements for practical courses. The students will come from multiple departments on campus - primarily Mass Communications, but also Applied Communications Studies, Chemistry, Biology, or Engineering – and work in interdisciplinary teams to produce content that tells critical stories in the bioeconomy at SIUE and beyond. 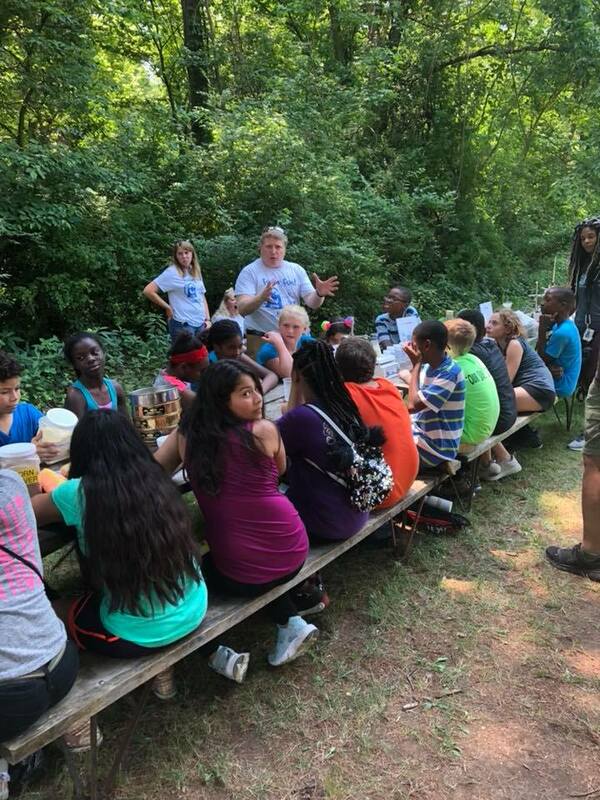 On Friday, June 15, over 150 students from the St. Louis Public School District experienced an ethanol process demonstration given by Dr. Bob Dixon of Southern Illinois University Edwardsville's Department of Chemistry. Materials for the ethanol process demonstration were funded through an internal SIUE grant from the Meridian Society. Pictured to the left is Dr. Bob Dixon and Krista Russell, NCERC Marketing and Administrative Intern and senior in the Southern Illinois University Carbondale College of Agriculture.